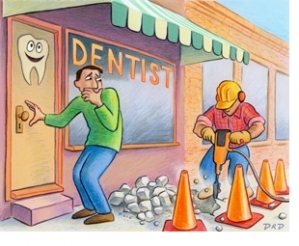 Sixty million Americans will avoid going to their dentist because of their anxiety at the prospect of dental work. Anxiety, a biological response to a perceived or real threat, is what is commonly referred to as the “fight-or-flight” response. Unfortunately, dental anxiety is all-too easily triggered by several issues: fear of pain, injection, numbing, side-effects of medicine, or the shame of neglected oral care. Dental anxiety is deeply rooted in your natural tendency to protect your teeth. Psychologically, you associate your mouth, especially your teeth, with mortality and your basic means of survival. This makes sense, as your mouth is the gateway to the rest of your body and its health. Therefore, it is no wonder that going to the dentist can be distressing. The good news is that you don’t have to experience this anxiety any longer! How would you like to have a spa-like experience at your next dental appointment? 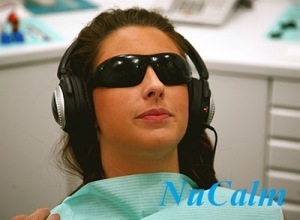 Recently, NuCalm, a new product has been launched in the market; it guarantees an anxiety-free visit to your dentist. NuCalm is a revolutionary technology proven to relax the body naturally, without drugs. This all-natural technology is administered at the start of your appointment--most patients experience deep relaxation within minutes. NuCalm works by mimicking the body's natural process of readying itself for sleep. It is basically taking a power-nap. The all-natural NuCalm formula, together with the neuro-acoustic software provided by the NuCalm system, initiates brain waves associated with deep relaxation and calmness. The NuCalm components are coupled with classical music and administered to the patient using an MP3 player and noise-dampening headphones. An easy-to-use device called Neuro Pak that has been cleared by the FDA for treatment of anxiety and insomnia is used as well. When lulled by the NuCalm system, the patient’s brain wave activity changes from high alertness and anxiety to those brain waves present during a relaxed pre-sleep state. Because this is an all-natural technology there are no side-effects, and no recovery time needed. We are excited to be able to help our patients have an anxiety-free, relaxing visit to our office. So next time you make your dentist appointment, ask them if they have NuCalm.